The RMC Varsity Fencing Teams decided to raise funds this year to bring The Friendship Bench to RMCC as a symbol of the support that RMCC students can give to each other. It reminds us that it is important that we take care of each other; to say hello, to listen to each other, and to ensure that our fellow students, military and civilian staff, and in sport our teammates, are able to get the mental health support they need. We know the importance of this because this is one of the ways we are recovering as a group from the loss of one of our own athletes, OCdt Harrison Kelertas, in April 2016. 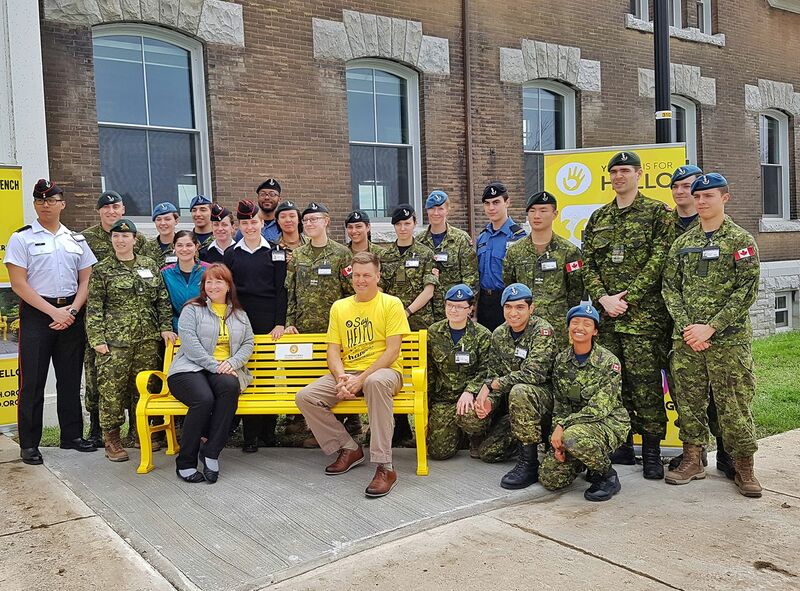 The Friendship Bench is located in front of the RMC Old Gym salle d’armes 17 Point Frederick Drive, adjacent to the Parade Square, and directly links users to the RMCC and local Kingston mental health services.